This “feature” prevents you from playing videos that are not hosted on Google’s servers. Download and run this patch I wrote to remove this restriction. Running the patch requires a .NET runtime. Update: Journalists never cease to amaze me with their ability to blow things out of proportion. For the record, I haven’t spoken to or exchanged emails with a single journalist about this, so when the Associated Press writes “said he needed only one day” that’s a complete and utter fabrication since I’ve said no such thing here on my blog. I bought myself a new bicycle yesterday and today I went for a ride to Pont du Gard. I’ve visited it many times before, but it never ceases to amaze me. I took some pictures along the way. 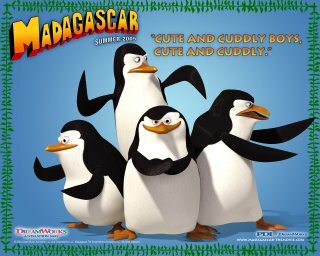 Saw Madagascar today. “All rendered on Linux, all made with the GNOME desktop”. The penguins were hilarious. One of the better movies I’ve seen this year. I bought 3 new DVDs yesterday: L’Enquête corse, Banlieue 13 and Agents secrets. Dopi by James Willcox for iPod syncing. Works great with my 3G iPod. Monopod by Edd Dumbill for subscribing to podcasts. 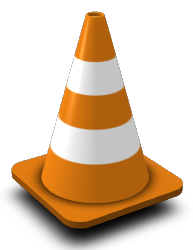 If you use VLC, you might have wondered what the hell is the cone for? One day, people from the VIA association (VIA is a students’ network association with many clubs … amongst those is VideoLAN.) came back drunk with a cone. They then began a cone collection (which is now quite impressive I must say). Some time later, the VideoLAN project began and they decided to use the cone as their logo. I was looking through boxes of old stuff and came across the first computer programming book I read and the first Linux distro I tried. I’m not too fond of beer, but I had to buy some when I came across this brand in a Polish store in Copenhagen. I had a great time at Reboot7 in Copenhagen last weekend. One of the best conferences I’ve ever attended. I hope there will be better chairs for Reboot8 though. The Mother of All Demos was very impressive. Raymond M. Kristiansen on the demo: “Fantastic movie indeed. I kept asking myself what evil forces have been at play ever since, halting our development.“. Audio from the second day. Reboot7 at Technorati and Flickr. DVI output does not work (no signal). Unable to play 720p video because XVideo can’t allocate enough video memory: “BadAlloc (insufficient resources for operation)”. Disabling DRI frees up enough video memory to enable successful playback. After waking up from suspend, 2D performance is very bad (scrolling in gnome-terminal and firefox stutters). None of these problems occur with the open source xorg radeon driver.